Think about it – what was the last advert you saw that you really remember or which made you take action? The likelihood is that nothing comes immediately to mind. This is ironic as we are now surrounded by more and more ads, whether on the internet, TV or billboards. And they should be increasingly better targeted given that advertisers can see our browsing history, previous searches and even what we Like on Facebook. Why don’t we remember ads? I think there are three reasons. Firstly, we’re getting better at blanking them out ourselves. Our brains are struggling to cope with the huge amount of information around us, and are therefore becoming more ruthless and ignoring things that aren’t relevant. Secondly, as well as giving us greater opportunities to see ads, technology is also helping us to skip them. Most of us fast forward through the ads on recorded programmes, and given that more TV is no longer watched live (or on a TV), we can save time by avoiding commercial breaks. Even if you begin watching a recording of a programme on ITV 15 minutes after it starts, you’ll catch up by the end, without missing anything but the ads. Websites are also waking up to the idea that you can offer a premium, ad free product to increase revenues. YouTube is looking at subscription model that means you don’t have to see any ads on the site, for example. Finally, most ads aren’t actually that interesting anymore. Big budget TV ads still exist, but the vast majority are much more basic and programmatic – you do a search for a toaster, and small, mostly text-based ads then follow your round the internet for a week, appearing on every page you visit for example. The creativity is more in the algorithm that understands your intent, finds a corresponding ad and then keeps tracking you from site to site. It would be physically impossible for the advertiser to create hundreds of creative ads telling you about how their toaster will change your life – there simply isn’t the time or space to do it. I’m sure there are wonderful long form TV ads out there, but apart from the Christmas campaigns (which have become part of the festive experience) I’m not watching them, and I don’t know who else is either. There don’t appear to be ads that tell your friends about, like the Tango, Guinness or Levis campaigns of the 1980s and 1990s. Too many TV or billboard ads are generic or ‘good enough’ in the eyes of the client, rather than pushing the boundaries. Targeting is replacing creativity as the key factor in success, so what does this mean for the advertising industry? It could mean the end of ads as we know it. Brands are looking for different ways to engage with customers, so are putting their money into sponsorship of programmes, sports and events, content marketing and campaigns on social media. However swapping the TV ads you’ve always done for a Facebook or YouTube-based programme requires a leap of faith from marketing directors and ad planners alike. At the moment many have added the internet to their campaigns, for example sharing their ads on their own site, Facebook and YouTube and using cut down versions for internet advertising. However I think that there’s going to be a moment when the advertising industry becomes ‘digital first’ and the swashbuckling creatives and Don Drapers will be replaced by data scientists and content marketers who can use technology to understand and reach audiences, as opposed to untargeted TV ads that may win prizes for creativity but don’t deliver ROI. In many ways this will be a shame, but shows that whatever industry you are in, digital can and will disrupt everything you do. Technology has disrupted many industries, radically changing the roles of those that work in them. 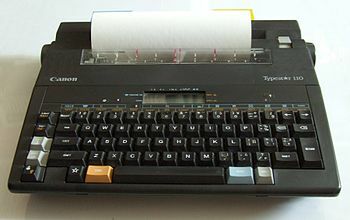 Thirty years ago, every medium or large organisation had a typing pool, with secretaries that took dictation and then typed letters, tippexing over any mistakes. Insurance was primarily sold face to face through brokers, while buying a CD involved a trip to the nearest HMV or Virgin Megastore. It is now marketing’s turn to feel the impact of technology change. When I started in PR 20 years ago, technology essentially involved a desktop PC, a landline and a fax machine. I remember setting my heart on being promoted in order to ‘earn’ a work mobile phone and the excitement when internet access and email arrived. Things have changed a great deal, but essentially by simply automating existing processes. Rather than physically posting press releases to journalists, PRs now send an email, and marketing campaigns are now integrated and include digital channels. And you could argue that these changes have benefited PR and marketing – the sector is larger than it was, with more senior level practitioners. However, digital business as usual is no longer enough. Marketing is now being transformed by technology, with those working in it enabled by a whole range of new tools and abilities that completely change how the entire industry operates. This is being driven by three key trends – the rise of Big Data, social media, and improved, end-to-end measurement tools. We live in a world where data is being created an astonishing rate. And much of this data is personal information created on social media and consequently of interest to marketers. You can select target audiences to advertise to using the most narrow of parameters – if you want to reach one armed female ferret fanciers in Altrincham it is easy to do. But to make Big Data work for marketing, you need to learn technical and real-time analytic skills that can be at odds with the traditional annual or six monthly campaign-based approach that many people were brought up on. You also need flexibility, a desire to experiment to see what works, a willingness to learn from mistakes and a focus on constantly adapting and improving what you do. The relationship between marketers and consumers used to be balanced firmly in favour of corporate suits. Campaigns were launched at their target markets, and while there was some market testing, it was normally late in the process. Social media changes all that – consumers have the chance to have their opinions heard by a global audience instantly, uncontrolled by marketing organisations. The latest example of this is the Comcast case, where a call to cancel an internet connection degenerated into the customer service agent berating the consumer for having the temerity to try and leave. Over 3.5 million people listened to the customer’s recording of the call in just a few days. Marketers have lost control of the conversation. One of the traditional issues with PR used to be that it was difficult to measure. At a simplistic level you could count clippings, or even assign them a monetary value based on advertising rates, but these were crude and didn’t link to other marketing disciplines. Now you can measure everything, seeing exactly what a prospect has viewed on the way to a purchase and use Big Data algorithms to weight the relative impact of every contact on the eventual sale. Software enables you to link different channels seamlessly, so in terms of PR and social media you could see how individual articles or tweets have moved the customer journey forward. So, some of the skills that marketing people took for granted as useful – empathy, the ability to schmooze and being good on the phone/in meetings – are no longer enough. You need to be able to use technology as a lever to better understand customers in a scalable, real-time way, and have the strategic skills to create content that will best reach them. For a traditional industry such as marketing this does mean changing how people operate – which can be uncomfortable and even threatening to experienced marketers. However the prize is worth fighting for. Marketers have the chance to not only prove the value of what they do, but increase their own standing within their organisations by taking a more strategic role. All they need is an open mind and a desire to embrace their more analytic and technical sides.